Paul Charles is a Northern Irish concert promoter, manager, talent agent and novelist who described himself as "a committed book reader" and collector of detective fiction, which inspired him to start writing police procedural-styled detective novels inspired by Colin Dexter and infused with his knowledge of the British music scene – resulting in the Detective-Inspector Christy Kennedy series. A series comprising of ten books that began with I Love the Sound of Breaking Glass (1997) and, as of this writing, ended with A Pleasure to Do Death with You (2012). So this series would probably not have appeared on my radar had it not been for two very specific titles. The Ballad of Sean and Wilko (2000) and The Hissing of the Silent Lonely Room (2001) are locked room mysteries that paired the protagonist with "the ghosts of such genre icons as Clayton Rawson and John Dickson Carr." Well, you know me. A promise of not one, but two, impossible crimes is like dangling a carrot in front of me. And, as usually, it worked like a charm. 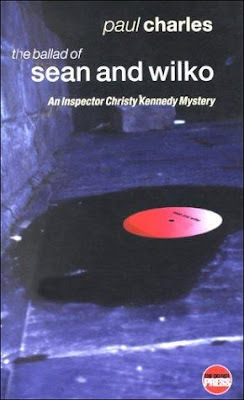 Detective-Inspector Christy Kennedy is a character reminiscent of the policemen from the genre's golden era, like Roderick Alleyn, John Appleby and Gordon Knollis, who's refreshingly free of personal demons that dominate so many contemporary police procedurals and crime novels. Only personal intrusion upon the story is his relationship with a local journalist, Ann Rea, who annoyingly spells her name in lower-case ("just like k.d. lang"), but I refuse to go along with it – because lower-case names are pretentious and an eye-sore. Something that annoyed me to no end while reading the book. Since this is a police procedural, Kennedy doesn't work alone or just with a subordinate next to him. There's an entire cast of police-characters with him working any given case and this team consists of Detective-Sergeant James Irvine, WPC Anne Coles, Sergeant Thomas Flynn, Superintendent Thomas Castle and the pathologist, Dr. Leonard Tylor. They mostly work round and about London's Camden Town and Primrose Hill. The Ballad of Sean and Wilko is the fourth title in the series and opens with the arrival of Kennedy and Irvine at the crowded Dingwalls Dancehall in Camden Lock. Nearly six-hundred people had come to bop to the music of the Circles, "a blast from the past," who have been polishing their faded popularity during the seventies rival of the '90s and early 2000s. Circles is a creation of Sean Green and Wilko Robertson. Green had "the musicianship and an ability to write songs," while Wilko had "an amazing soul voice" that was "tuned and tainted by whiskey" and the decades-long back-story of the band is woven throughout the story – such as the failure to break in America and Wilko's departure from the band. Until they reunited and had a bestselling greatest hits package. During their gig at the dance hall, there's a break in the set when the other band members get to showcase their skills and Wilko went to the basement dressing room to put on a change of clothes, but he never came back up. A roadie and former manager of the group, Kevin "KP" Paul, went to look for him and had to kick open the basement door, which had been locked from the inside. There he found Wilko's body sprawled on the concrete floor without an apparent mark on his body, but the post-mortem revealed he had been stabbed straight into the heart by something that was "thinner than an ice pick" and "stronger than a knitting needle." So they have their work cut out for them and the workload is divided between the previously mentioned team of police officers. This makes the series, or at least this book, closer to the kind of police procedurals M.P.O. Books (District Heuvelrug) and Ed McBain (87th Precinct) wrote than to the police novels with a lonely, demon-haunted cop as the protagonist or those who only have a sergeant as a sidekick. The backdrop of the story and plot, a washed up band jumping on the nostalgia bandwagon, is what really makes The Balled of Sean and Wilko standout as a (locked room) mystery novel and the parts where they were collecting all of the pieces of the band's back-story constituted the best bits of the book – a better puzzle, in fact, than the impossible murders. But the portion between the two locked room killings has a few minor imperfections. One of these is the annoying way in which some of the characters talk. KP is an old-school hippie who liberally peppers his speech with man and vibe ("a bit of a murder-mystery vibe, man, isn't it? "), which makes me want to strangle everyone who uses those two words in the same sentence. Another band member constantly utters lordy or lordy, lordy. Not the best way to distinguish your characters. The second is more a case of wasting perfectly good material when there was no reason to do so. A secondary plot-thread is introduced in the first half of the book and concerned the death of a nurse, Sinead Sullivan, who had been cleverly murdered by her secret-lover, Dr. Ranjesus – who used "natural causes" to get rid of his pregnant mistress. 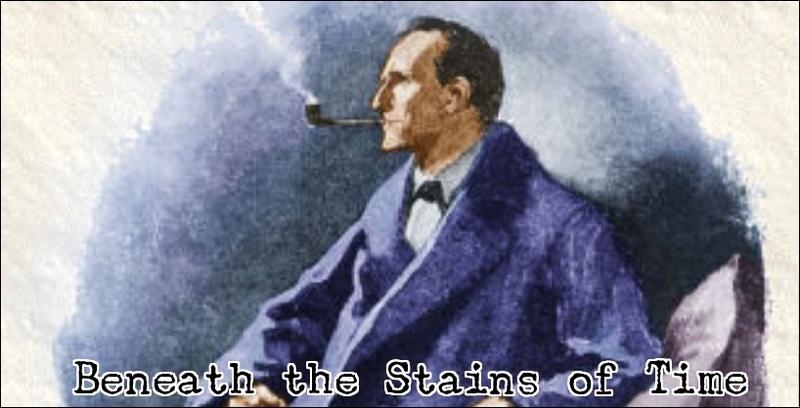 A perfect murder story that was completely out of place here and remained unresolved. I'm not sure if this was meant as a setup of a continuing story-line, but I think this clever idea would have been better served as a standalone (short) story. And then there are the locked room murders. Firstly, a second, seemingly impossible, murder is discovered late into the story when Kennedy's prime suspect is stabbed to death in a basement den, bolted from the inside, but this one had a routine solution and was explained in the next chapter when WCP Coles was closely scrutinizing the bolt of the lock. So a very simple, shopworn locked room trick. However, the murderer had a proper motive to continue with "all that locked-door stuff" other than being a creature of habit. So not too bad for a last-minute murder, but nothing special either. The murder of Wilko was put together very differently and can see why it was compared to Rawson, but the problem is that the solution demonstrates the old axiom that when you know the how, you know the who. Charles has to be commended for playing it fair. Unfortunately, the central clue is so blatant and often pointed out that you have to be really dense not to spot the murderer long before the final chapter rolls around, because only this person could have done it. 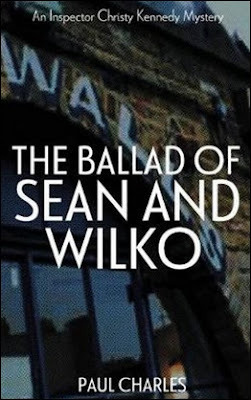 The Ballad of Sean and Wilko turned out to be an uneven, but interesting, mystery novel with sadly a less than perfect plot and locked room puzzles. Nonetheless, Charles gave the story a distinct voice of its own by combining features of the Golden Ages of the detective story and pop/rock music with a contemporary setting, which gave you the idea of a nostalgia act staged by a cover band – a very fitting feeling for this book. So I'll give The Hissing of the Silent Lonely Room a shot, but it has to show some improvement in the plotting department for me to move on to the non-impossible titles in the series.